Spun copper pot. 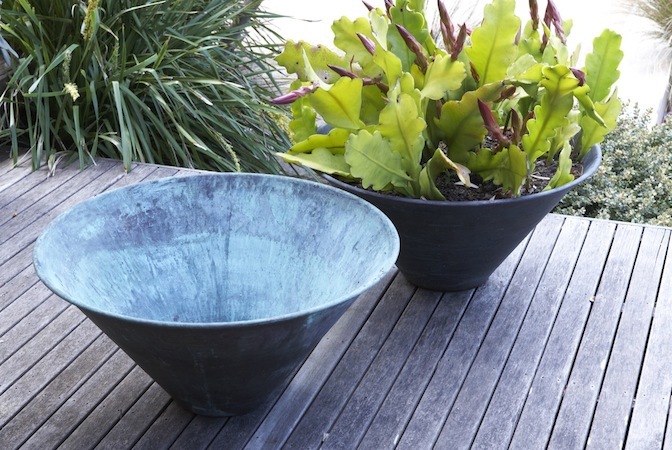 1950’s inspired conical shape.These pots are spun from copper and aged naturally in the sea air to achieve a verdigris finish unique to each pot. The pots can be viewed and collected at Sorrento or Toorak, or freight can be arranged at an additional charge.